This original adaptation of the classic from the 1001 Tales of the Arabian Nights will captivate audiences OF ALL AGES. With a combination of oriental and arabic themes - true to the original story - you will follow young Aladdin as he finds his place in a world that often seems unfair. 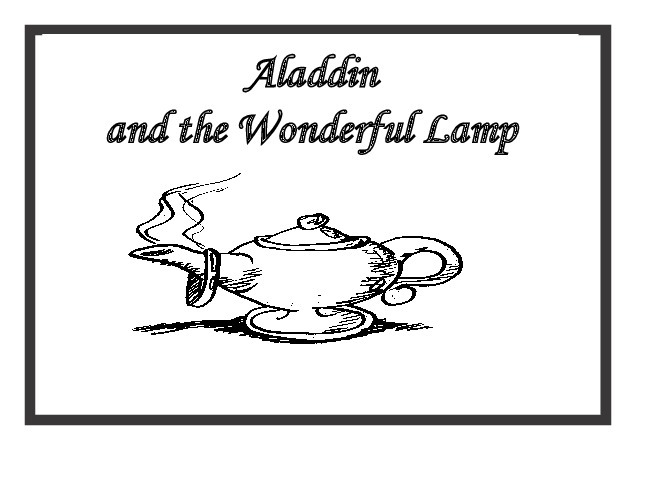 With the help of two genies, a lamp and a ring, he finds fortune, love, and, the self-confidence to know he never needed the help of genies after all. DAYTIMES ON THE PAGEANT STAGE! SCHOOLS ATTENDING ON SCHEDULED FIELD TRIPS WILL RECEIVE EDUCATIONAL SUPPORT MATERIALS FOR USE BEFORE AND AFTER! TEACHERS LOOKING FOR EDUCATIONAL SUPPORT MATERIALS? If you would like to be a part of this new and exciting offering from the Valley's Youtheatre, complete the application by clicking the link below. auditioning on-site will be set). and send it to CPP (see note to right). Call backs will be scheduled if needed. videos is from October 15 through November 5, 2017. NOTE: IF YOUR VIDEO IS TOO LARGE TO SUBMIT VIA EMAIL OR TEXT, SEND AN EMAIL WITH YOUR EMAIL ADDRESS TO cppontheweb@aol.com AND WE WILL SEND YOU A LINK TO A SHARED DROPBOX FOLDER TO TRANSFER THE VIDEO TO US (OR, IF YOU ARE FAMILIAR WITH DROPBOX, SEND US A LINK TO A FOLDER YOU SET UP).